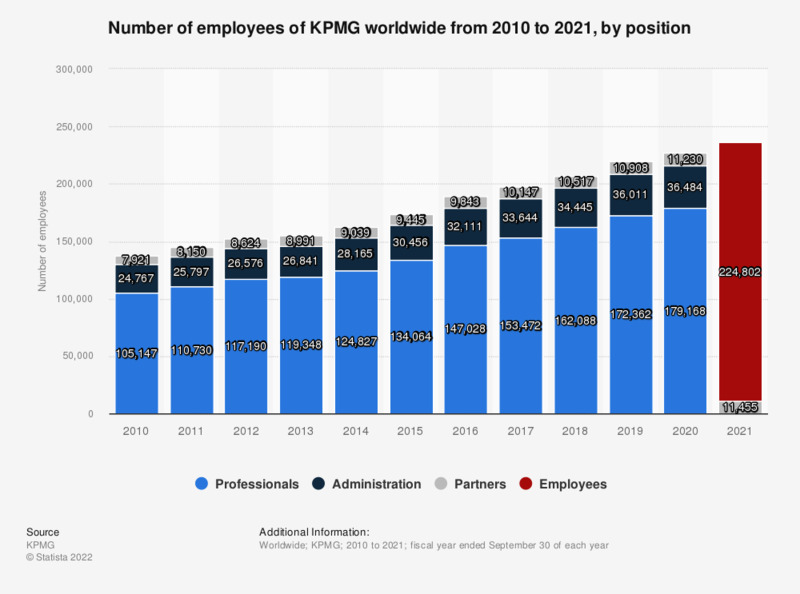 This statistic shows the number of employees of KPMG worldwide from 2010 to 2018 by position. In the fiscal year of 2018, professional services company KPMG employed 34,445 administrative or professional support staff. Figures up to 2016 were taken from previous editions. Everything On "KPMG" in One Document: Edited and Divided into Handy Chapters. Including Detailed References.